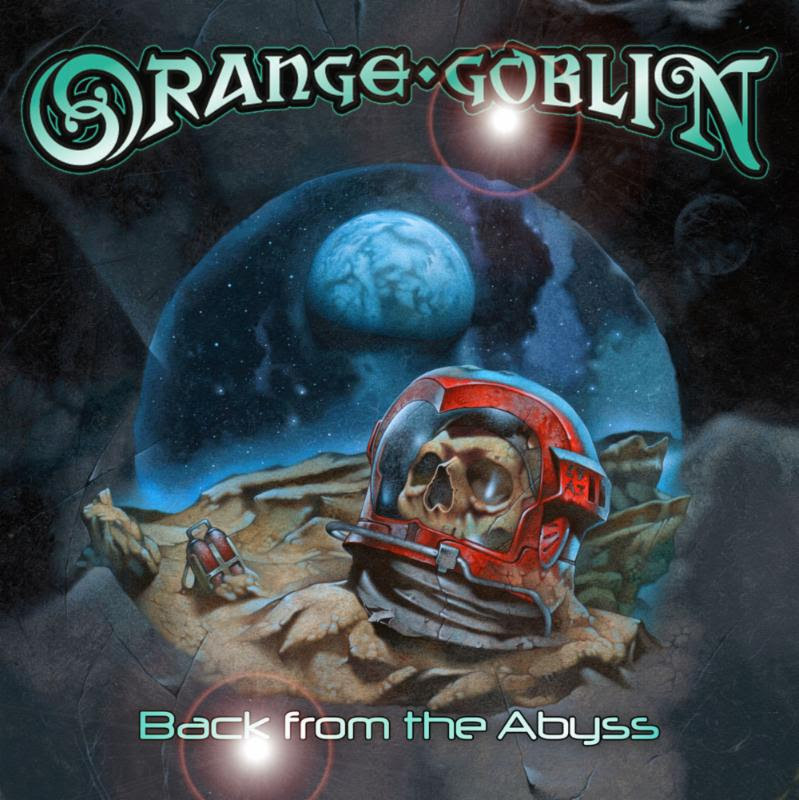 Candlelight Records has confirmed October 7th as the North American release date for ORANGE GOBLIN’s new album, Back From The Abyss. Recorded earlier this year in London, the album reunites the band with producer Jamie Dodd. It was mastered at Turan Audio in late July. Back From The Abyss will be available for preorder via iTunes and Amazon beginning August 26th. Fans can begin to preorder the CD today via Candlelight’s official webstore and Bandcamp page. Back From The Abyss follows the band’s most successful release, 2012’s A Eulogy For The Damned, and the recent reissue of their 2007 album Healing Through Fire. Featuring twelve new songs, it delivers the quartets now internationally respected Heavy Metal. Decibel Magazine calls the band’s sound, “maximum riffage and turbo doom.” Blabbermouth dubs them, “a big burly bag of rock goodness.” Rocking hard as fans have come to expect, Back From The Abyss shows not only the band’s tried-and-true blues and doom but the high caliber of their musicianship. American dates in support of Back From The Abyss are anticipated to start early in the new year. Details to be announced shortly. Together since 1995, ORANGE GOBLIN has released seven full-length studio albums. A Eulogy For The Damned was the band’s first for Candlelight Records and closed a five year recording hiatus. The album was supported with the most live dates by the band in their history; touring that saw the band on North America soil first alongside Clutch then on a full-scale headline tour that found them on thirty-eightstages across the US and Canada. Two videos were filmed and released for the album, including Red Tide Rising and the special Scion A/V video for Acid Trials. ORANGE GOBLIN is vocalist Ben Ward, guitartist Joe Hoare, bassist Martyn Millard, and drummer Christopher Turner. The band are endorsed by Marshall Amplification, Orange Amplification, Fender Bass Guitars, Natal Drums, Meinl Cymbals, Vater Sticks, Remo Skins, Vans, Volcom, Boss Pedals, Rotosound Strings, and Jagermeister. This entry was posted on August 17, 2014 at 8:37 pm and is filed under Heavy Metal, Metal, metal music, Music, music news, rock music, rock music news with tags heavy metal news, metal albums 2014, Metal News, metal odyssey, orange goblin. You can follow any responses to this entry through the RSS 2.0 feed. You can leave a response, or trackback from your own site.